We love having TSA PreCheck because it makes it so much easier and faster going through airport security. We have found that TSA Precheck is worth the time and expense of the application process and would recommend it to anyone flying from US airports more than once a year. If you are thinking of applying for TSA Precheck, it is important to know that there four (4) different ways to get TSA Precheck (each with different fees and eligibility requirements). To help you decide what is the best way to get TSA Precheck for you, below is a comparison of all four (4) trusted traveler programs. For those unfamiliar with TSA Pre-Check, qualifying for TSA Pre-Check on a flight allows you to go through security without removing your shoes, belt, light outerwear, laptop and bag with liquids. There is often a separate line, which is usually shorter and faster. We’ve read a few complaints about TSA PreCheck lines sometimes being longer than regular lines but that’s never been the case for us. Please note: TSA Pre✓ is only available when flying on certain airlines – the current list of airlines can be found on the TSA’s website at https://www.tsa.gov/precheck. If you would like to sign up for TSA PreCheck, you can apply for TSA PreCheck directly OR you can apply for one of the other 3 trusted traveler programs that also include TSA PreCheck benefits. • Citizens of Argentina, Colombia, UK, Germany, India, Panama, Singapore, South Korea, Switzerland, Taiwan and Mexican nationals. A few years ago, we were approved for Global Entry, which also includes TSA PreCheck. 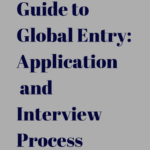 For more information on how to apply for Global Entry see Guide to Global Entry: Application and Interview Process. • US citizens who do not have a passport (which is required for Global Entry). Cost: $50 US or $50 Canadian application fee. • U.S. citizens and lawful permanent residents who do not have a credit card that offers reimbursement for Global Entry or TSA Precheck and are looking for the lowest cost method to obtain Global Entry and TSA Precheck. NEXUS is the Canadian version of Global Entry. NEXUS includes TSA Precheck benefits and Global Entry, in addition to expedited processing upon entry to Canada. Unlike the TSA Precheck and Global Entry programs which have enrollment centers throughout the US, NEXUS enrollment centers are located only in Canada or certain cities in the Northern US near the Canadian border such as Detroit, Buffalo, Niagara Falls or Seattle. Here’s the full list of NEXUS enrollment centers. It is important to note though that anyone applying for NEXUS for expedited entry into Canadian airports, must travel to an enrollment center in Canada to have their iris captured (NEXUS enrollment centers located in the United States do not offer the eye scan). The application fee for NEXUS ($50) is lower than the application fee for TSA Pre-Check ($85) or Global Entry ($100). However, NEXUS might still not be the lowest cost method for obtaining TSA Precheck and Global Entry – some credit and charge cards reimburse for TSA Pre or Global Entry application fees but not for the NEXUS application fee. Cost: $122.25 per person (includes $25 application fee). • US citizens with easy access to an enrollment center near the US-Mexico border. SENTRI users have access to specific, dedicated primary lanes into the United States at Southern land borders and may use NEXUS lanes when entering the U.S. from Canada by land. SENTRI also includes TSA Precheck and Global Entry benefits. Unlike the TSA Precheck and Global Entry programs which have enrollment centers throughout the US, SENTRI has fewer enrollment centers and they are located only in Arizona, California and Texas. SENTRI is the most expensive way to get TSA Precheck and Global Entry benefits. SENTRI could be an option for anyone who frequently drives between the US and Mexico or who finds it more convenient to visit a SENTRI enrollment center near the border. • The Department of Homeland Security website has a helpful page comparing the Trusted Traveler programs with links to their respective websites and application pages. 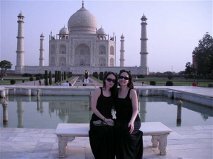 • Carefully read the eligibility requirements of each Trusted Traveler program before you apply. Application fees are non refundable even if you are not approved. • Some credit cards and charge cards reimburse cardholders for the $100 Global Entry fee or $85 TSA Precheck fee (but not the fee for NEXUS or SENTRI). • Membership in all four Trusted Traveler programs is valid for 5 years only. After 5 years, you must renew and pay another application fee. • You will need to visit an enrollment center to provide fingerprints and verify your ID. The list of enrollment centers is different for each trusted traveler program. We recommend consulting the list of enrollment centers for the specific program you are interested in before applying to ensure an enrollment center is easily accessible to you. (Here are links to the TSA Precheck, Global Entry, NEXUS and SENTRI enrollment centers.) You can also check interview availability from this page before you apply. • To start receiving TSA Precheck benefits after approval, log into your frequent flyer accounts and enter your known traveler number (KTN). • TSA always incorporates random security measures so TSA Precheck is not guaranteed on every flight. Your boarding pass will indicate whether you have TSA Precheck benefits on a specific flight. How Long Does Global Entry Last? For TSA pre check, is the $85 fee a one-time fee? Or is that an annual charge? Hi Tami, The fee is good for 5 years. 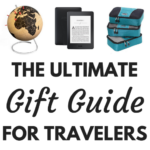 Great easy-to-follow breakdown of the different options available and which is best for different travelers. If I apply now for Global entry would I be approved before the middle of August? There is no way to know for sure but will be very hard to be approved that fast. First you have to wait for them to conditionally approve your application which could take up to a week or more. Then you have to find interview availability. You might be able to find last minute openings. What a great post! 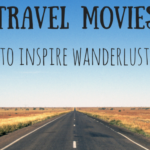 This is a great option for travelers. Thanks for putting all the information in one spot!! Do you know at what age the fee needs to be paid? In other words, can a parent’s pre-check status be used for their children? Global Entry is different. Children cannot use the Global Entry lanes at passport control with their parents and would have to apply for their own Global Entry. How long does it take to get a Global Entry pass or a TSA precheck pass? Global Entry you are able to use it right away but TSA Pre takes 2-3 weeks. You don’t get a pass but TSA will be printed on your boarding pass. if i applied today and leaving in 9 days, i would assume i would not get the pass but still have to do last interview process (fingerprint and signage) in time for my flight and it to reflect TSA precheck? You would have to apply and interview before you can get a known traveller number which is what you need to get TSA Precheck. Unfortunately it is very unlikely you would get your known traveller number in 9 days. If two people are traveling together but only one has the TSA pre check, does the person without it have to go through the other check line? Yes the other person would have to go to the regular line. The only exception is children age 12 or younger. If your companion does not have TSA they would have to just enter the regular security lanes not the TSA Pre lane, so you would have to use separate lanes. If you wanted to stay together, you could enter the regular line even with TSA Pre benefits. Is a TSA pre-check really worth it? I’ve heard on the news recently (May 2016) that security lines will be getting even longer, especially this coming summer. Will TSA pre-check lines be longer also? I only fly about twice a year, for pleasure, not work, and if it only makes a half-hour difference, to me it’s not worth it. Besides, the nearest center for the in-person part of the application is an hour away. Keep hearing about crazy long lines recently as well. You can’t predict what the difference would be in the regular line vs the TSA Precheck line-it would depend on the airport and time of day. Whether TSA is worth it for you depends on how much you value expedited security and not having to remove shoes etc. versus the fee and time it takes to get to the TSA enrollment center. I find it worth it but others might not. I got my TSA Pre-check. It was painless. They merely re-asked the questions I had answered on the online application. I got the acceptance letter in a few days. Downside: I then traveled on Frontier, which doesn’t use TSA Pre-check lines. I should have checked before I spent the $85. I don’t travel much, so I am thinking it may not have been worth it. I have applied for the TSA pre-check – my appointment is June 2. I’m traveling in August. I’ll let you know how it goes! You do not need to enroll for TSA Pre or have a card to use TSA Pre. All you need to do is add your known traveler number in your online profiles on your frequent flyer accounts. You should then see TSA Pre on your boarding passes. Hope this helps. Hi, great informative article. Just to confirm: I applied to Global entry and paid the fee ; once approved and go to one of the centers , I have automatically a TSA pre check privileges correct? Yes I think so. We were told our known traveler number was on our conditional letter of approval which we had before the interview and could use in right away after our Global Entry interview. Also your wife and child over 12 will need to apply separately. I have tickets for Mexico trip in July. I don’t have frequent flyer number. How do I get my known traveler number applied to this trip? You could sign up for a frequent flyer number account online. That is the easiest way to enter your known traveler number and you can also collect miles for your flight. You could also call the airline and see if they can add your known traveler number to your reservation. Can my wife & I apply for TSA-Pre-Check and take our 7 yr old grandchild through PreCheck? Do we need authorization from the TSA? Not sure if you need to be a legal guardian or they are using the word guardian more loosely. How about if you drive your car into the U.S. from Mexico when you have SENTRI or some other program, but you are also accompanied by others who do NOT have that status? All passenger in the car need to have status in order for you to be able to use the SENTRI lane. It depends on the program you apply with. If you apply for Global Entry, you can pay with “credit card or electronic debit from a checking or saving account using a U.S. bank” according to their website. How long does it usually take to get an interview for the global entry. I have a trip coming up on the 11th and I still haven’t gotten an update on my application status. I has said pending for about 10 days. They will need some time to review the application before they send you a conditional approval. It depends on your application -my sister’s was only took a week but mine was 2-3 weeks. But even once you get the conditional approval you might not be able to schedule an interview right away unless there is a last minute opening/cancellation. Will I get my TSA KTN right away? i’ve been told conflicting information. My appt is 6/29, and my flight is 7/3. I know you do when applying for Global Entry but I think you need to wait a bit when applying for TSA Pre. I Have a TSA pre check issued on Oct 12, 2015 (TT115Y9VK) In an attempt to arrange a flight with Alaska Air I gave them the above number and they told me it needed to be 10 digits numbers and letters. When issued, the ID above was given and when I again looked at the TSA brochure when one wants to apply it shows on the back side of (091013_AO) that the top paragraph spells out using your KTN number that it is a ten digit ID. What is correct since Alaska wont accept my 9-digit ID. Just to confirm…If I get the Global entry pass I can fly from Seattle to Cabo and Cancoon Mexico? Does it work flying back from Mexico? The Global Entry comes into play when coming back into the US so you would use it to bypass the long lines at customs on the way back from Mexico. You might be able to get TSA Precheck on you flight out of the US if you are flying on one of the airlines eligible for TSA and enter your known traveler number on your reservation. My app was approved and received the same day I went in and paid, how long after that till I get my KTN? how long does it take to get approved for TSA precheck? I have a trip on 08.19.16 and it would be great if I had this for that trip. I received my KTN about 10 hours after my interview today via email link, however we are still waiting on my husband’s Security Threat Assessment to be completed and resulting KTN. There is a link to check your status. The interviewer said that the KTN will be provided within 2-3 weeks and can take up to 30 days. Also, if there are no immediate appointments available, there is a walk-in option that from my experience today seems to have a very minimal wait time. Thanks for sharing your experience Laura! I was fingerprinted as a child. Can I use these for my TSA pre-check? Do fingerprints expire? You will have to get fingerprinted at the interview. Can Guatemalan Citizens apply for these programas? Unfortunately no unless you are a lawful permanent resident of the US. I applied for TSA pre check and have an interview scheduled for next month. Today, I applied for Global Entry and submitted my information and paid the $100 fee electronically with a credit card. I know I should have researched a little bit before applying for the pre check but didn’t. Since background checks are required for both, is there a chance things could get messed up? Should I just cancel my TSA pre check appointment? 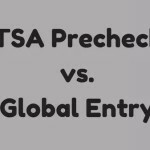 Since TSA Precheck is a part of Global Entry you don’t need to apply for both. I don’t think anything would get messed up if you go to both interviews but if you get conditional approval for Global Entry then I don’t see the need for the TSA Precheck interview. If I were you I would wait to cancel the TSA Precheck interview until I hear back about Global Entry. Hello, does having an first offenders record disqualifies me for TSA Precheck? If during the five years validation of one of the programs,I renewed my passport, Should I reapply for the new card or there is no effect on this regard? You do not have to reapply for either program. You do not need to do anything if you only have TSA Precheck but you should update your passport information in your Trusted Traveler Program (TTP) for the other programs: https://help.cbp.gov/app/answers/detail/a_id/1265/~/updating-passports-or-making-changes-to-your-goes-account.